Non-Returnable Deposit Required of £200 to hold the date and balance to be paid 10 weeks before the holiday commences. 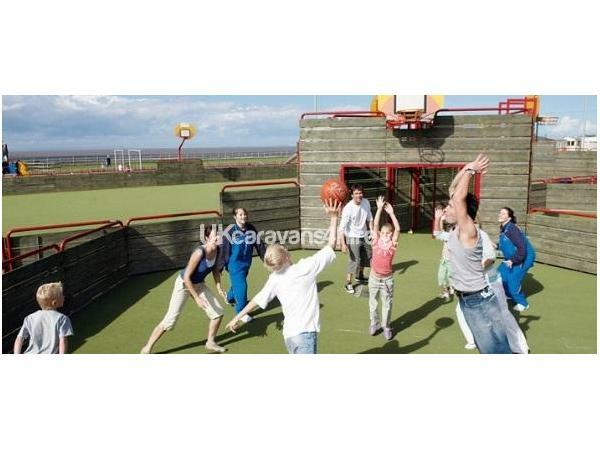 Price shown/agreed is for Caravan Hire. 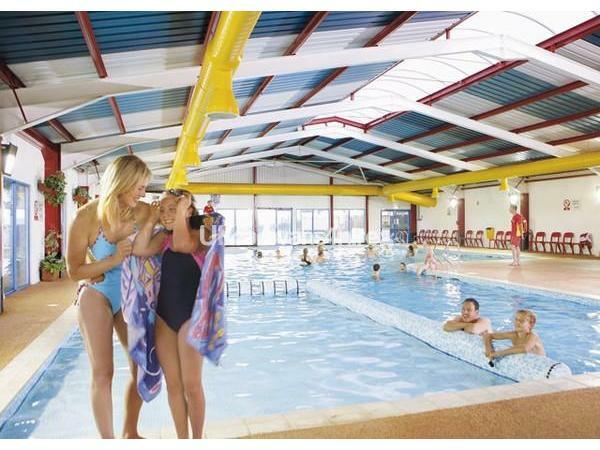 Haven Park Passes, for entertainment, swimming pool etc are available from Haven Reception and paid on arrival direct to Haven if required. This gives you access to Haven entertainment and swimming pool. We have purchased a brand new (May 2016) family holiday home that we are offering you the opportunity to hire from us. We are renting out for the forthcoming season. The caravan has 3 bedrooms consisting of one double bedroom and two twins. The caravan has a bathroom with toilet and a very nice hot shower powered by gas boiler. We also have a separate toilet, which is always handy, in the main bedroom. Kitchen consists of Gas Oven and Grill, Kettle, Microwave, Toaster and large Fridge Freezer. The caravan is fully equipped with all kitchen utensils expected for a self catering holiday for up to 6 people. There is a separate dining table within the lounge and dining area. The caravan is situated on a very quiet part of Haven Doniford Bay with its own private parking space (Please don't park on the grass). Walking distance is about 100 yards from the amenities, which is on the flat and ideal as its close, but just far enough away not to hear any of the fellow holiday makers leaving the clubhouse amenities at night. The beach is about 3 minute walk from the caravan and tide is in twice a day. The beach is a rocky beach but ideal for rock pools. 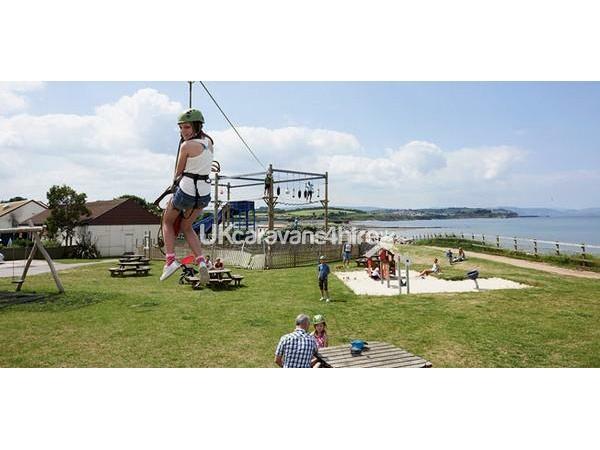 On the Haven site there is a large Clubhouse, Nisa Shop, Fish Bar, Childrens Play Barn, Slot Machines Arcade, Indoor and Outdoor Swimming Pool, Football Pitches, Basketball, Zip Line, Climbing Wall, Min Crazy Golf, Cycle Hire, Archery and the list goes on. Haven really look after the children with entertainment all day and night. Payable direct to Haven on arrival. Our new caravan is fantastic, and the surrounding area is unbelievable if you venture out. Additional Info: There is a Climbing Wall and Zip Wire for a nominal fee along with 2 seater bicycles. Beach is right on the front of park with newly built steps for access.The beach is approx. 4 minute walk from caravan but comes right up to the front of the site.Working farm next door free of charge with nice restaurant and oldy worldy shops. Just returned (July 2018) from a fantastic short break in this caravan. Very good, clean quality furniture and decor. The mattresses looked brand new and were very comfortable. The interior was absolutely spotless. Superb shower and also benefits from the extra en suite bathroom. 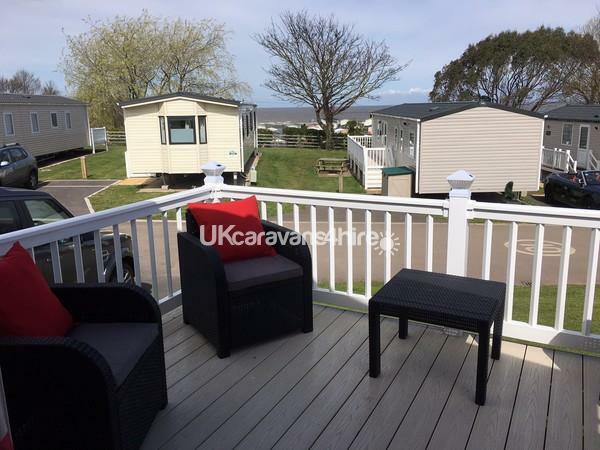 The caravan is situated on a lovely park with very nice views of the sea whilst sat on the raised decking. The park staff were also found to be very friendly and helpful. All in all a super short break. Thank you for a lovely stay, your caravan was very clean, welcoming and spacious, it felt like our second home! There was lots to do in the area and we appreciated your suggestions of where to go, we would definitely come back again and will come to yours every time. Thank you! Your caravan is absolutely fantastic and a big thank you to both of you. We loved staying here. Super caravan on a very clean site. This was our 4th Haven site and the best so far. Loved the Steam Train to Minehead and the walk along the beach to Watchet. We both feel relaxed and will come back next year and recommend to friends. We had a lovely week here at Doniford Bay. The children have had a fantastic time and the site is very clean with lots to keep the children happy. Your caravan is really home from home and the best we have ever stayed in with a perfect location. See you back here soon! A beautiful caravan in a lovely location, we had a lovely holiday. Everything was perfect and clean in the caravan and the girls loved it. Many thanks for a wonderful stay and will recommend to all. Thank you Cliff & Sharon for yet another amazing stay. We are so lucky as this is our second stay and we loved it. we all loved our sleep and was wondering if we could take the beds! Once again thank you for letting us stay in your amazing holiday home. I hope all your guests enjoy it as much as us.